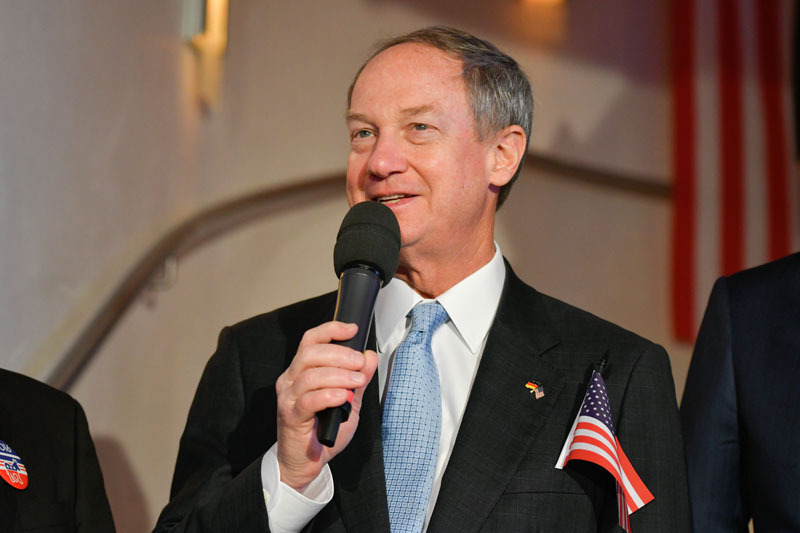 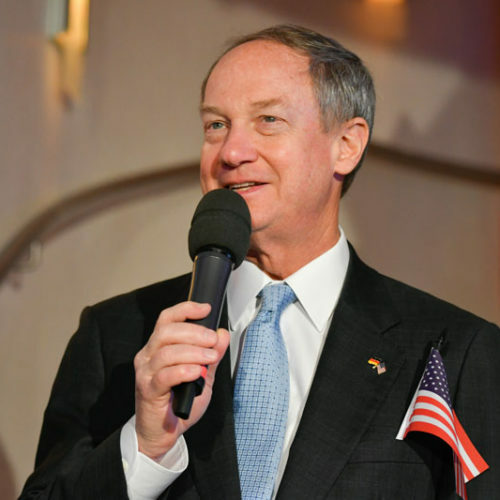 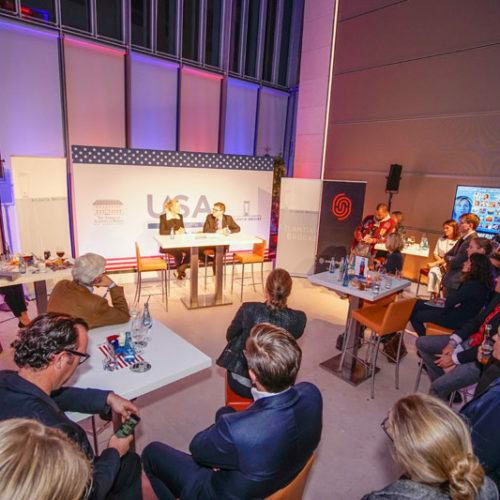 1000 guests follow U.S. presidential elections - Atlantik-Brücke e.V. 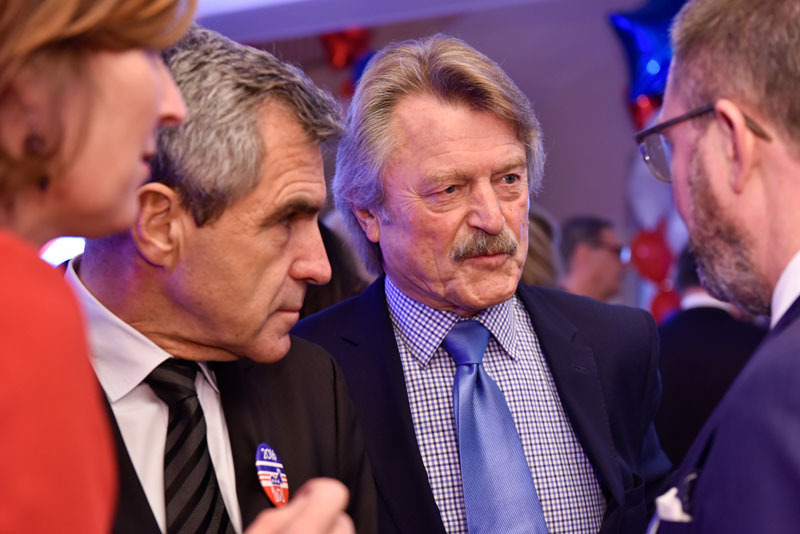 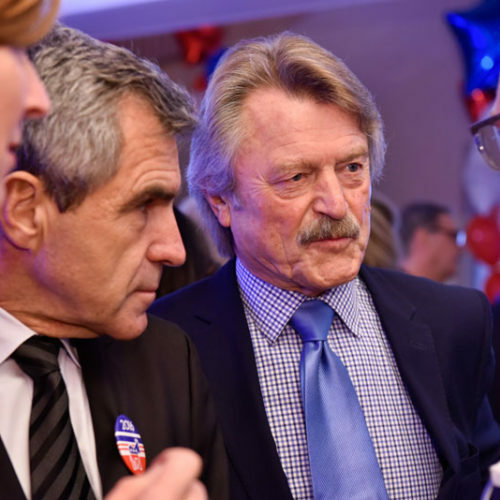 The election of Republican candidate Donald Trump to the 45th U.S. President has kept the guests of the Election Night quite busy from the evening of November, 8th until the early morning of November, 9th. 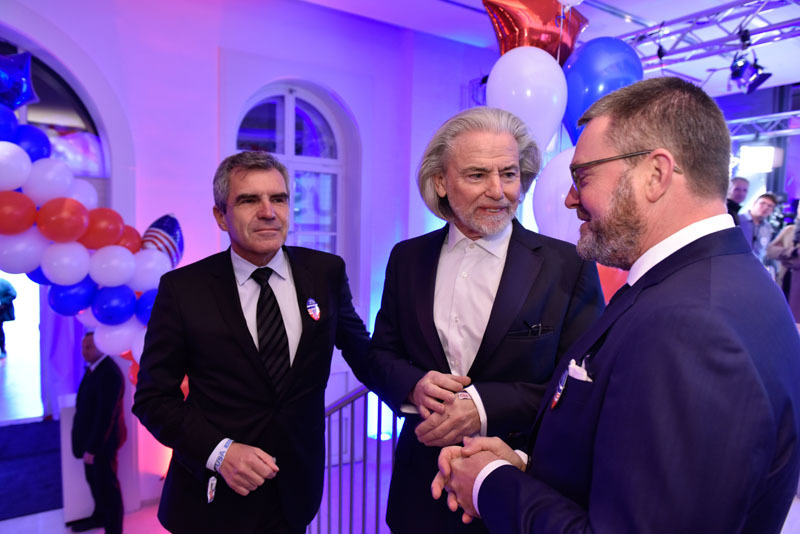 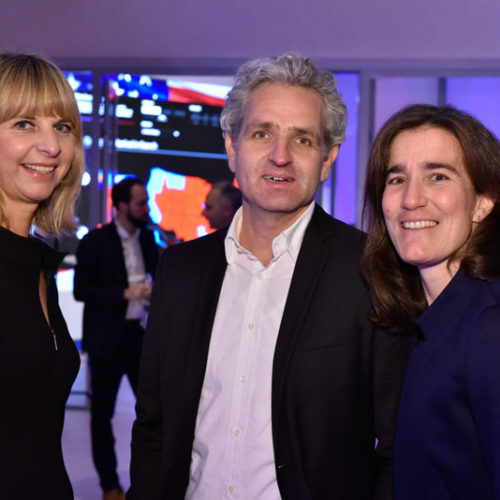 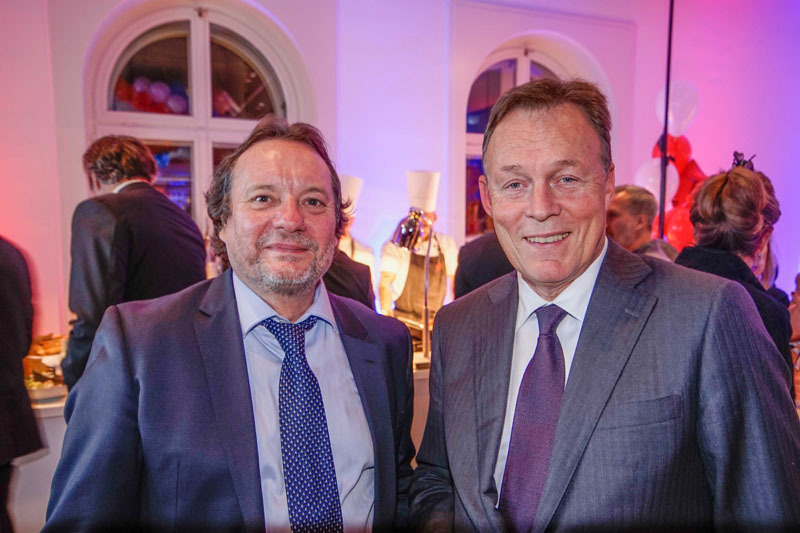 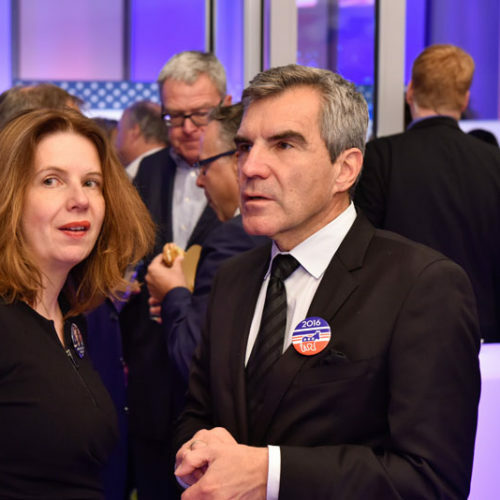 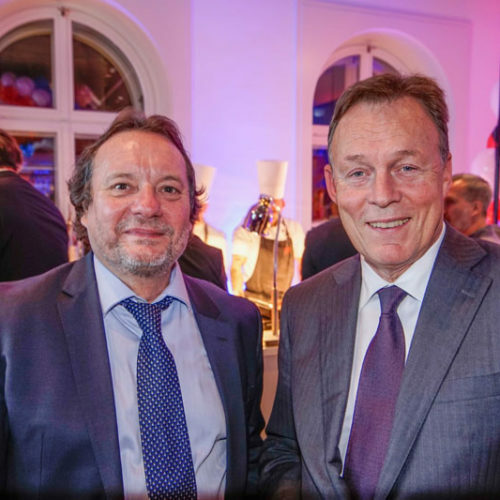 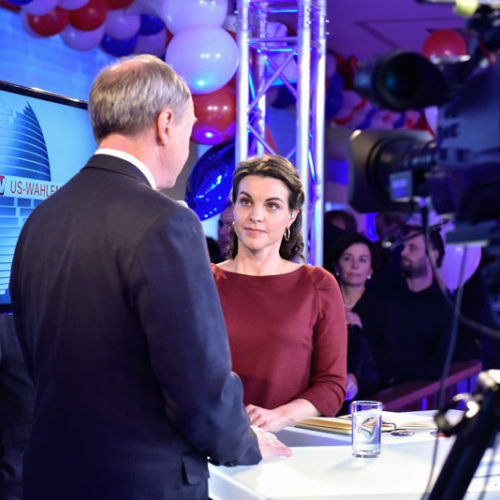 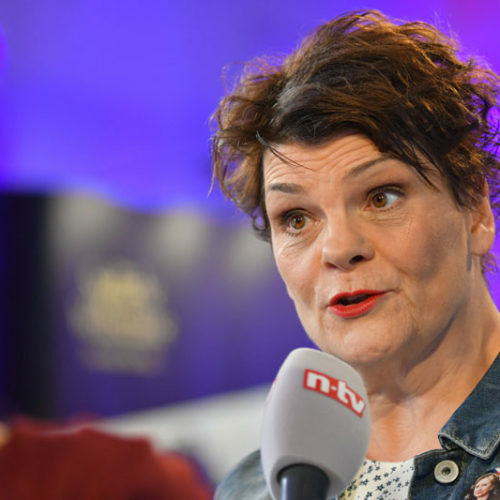 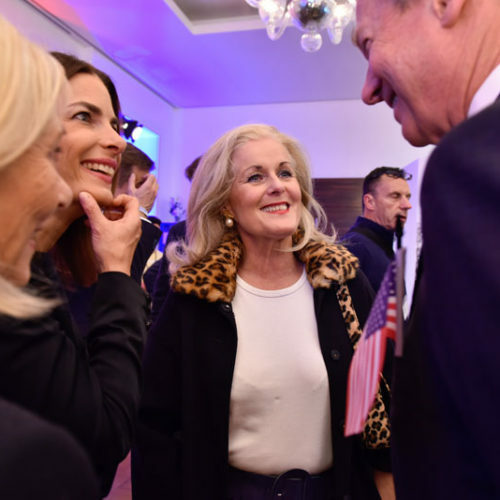 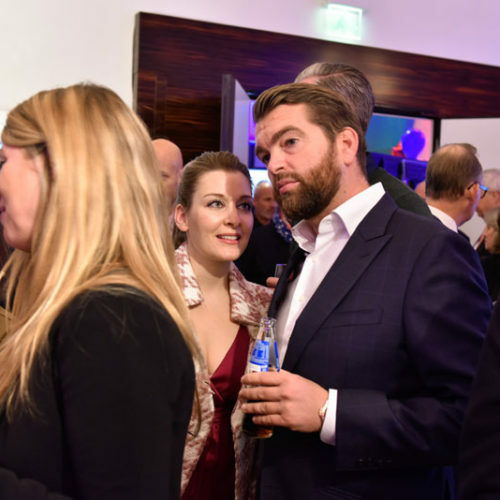 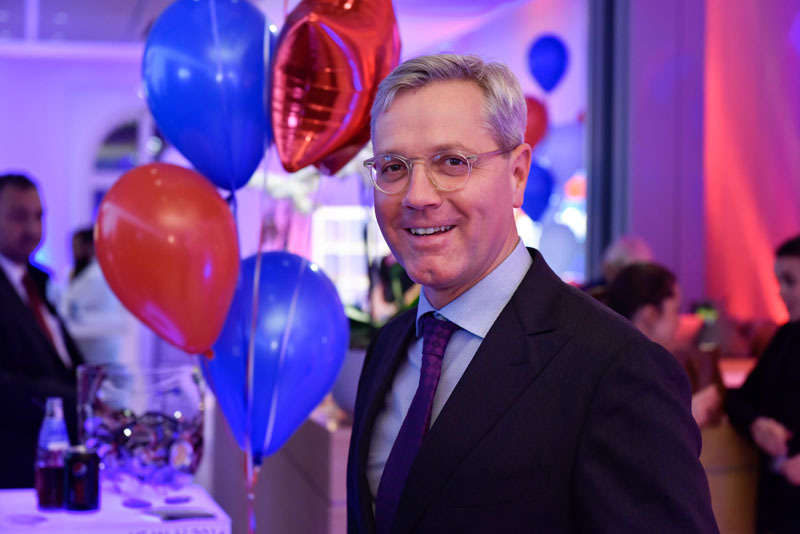 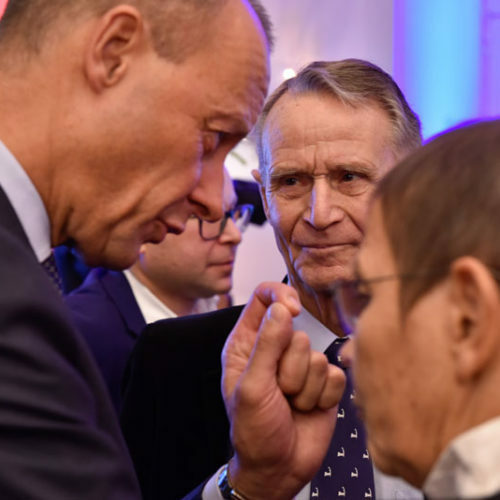 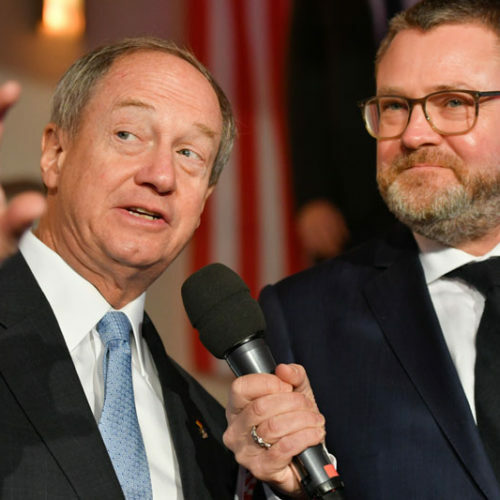 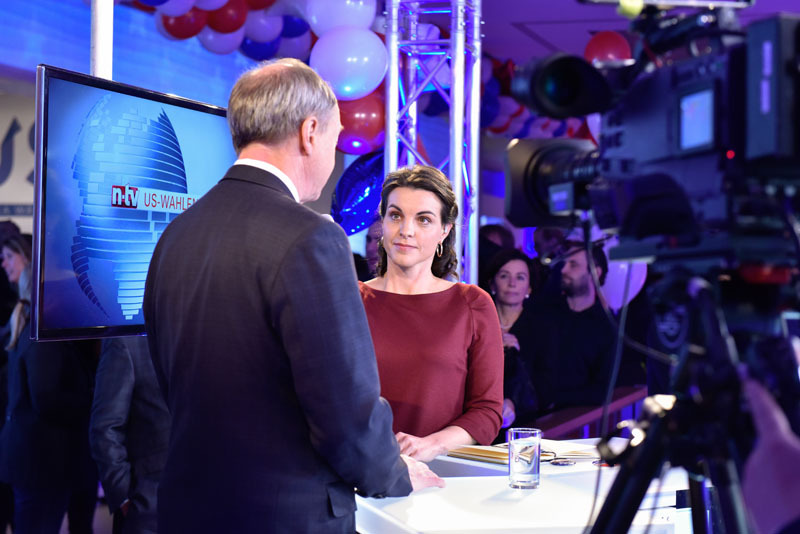 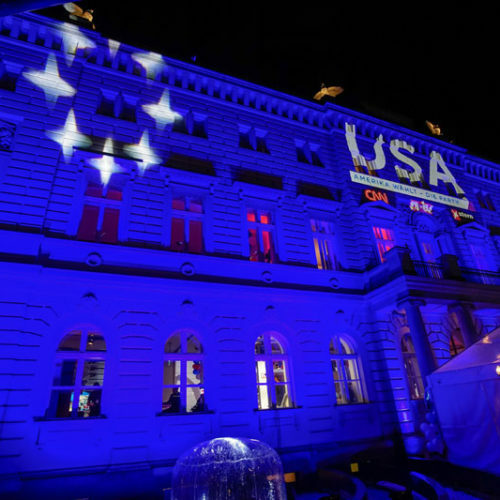 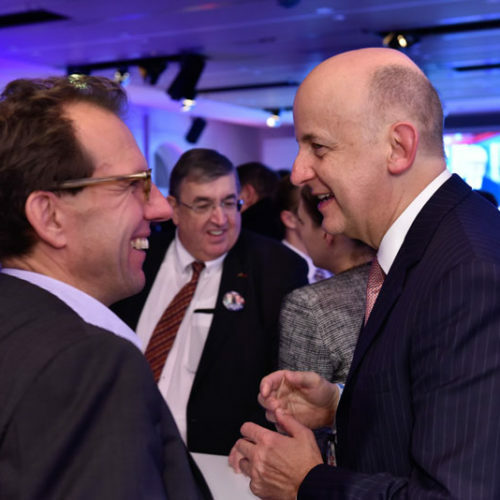 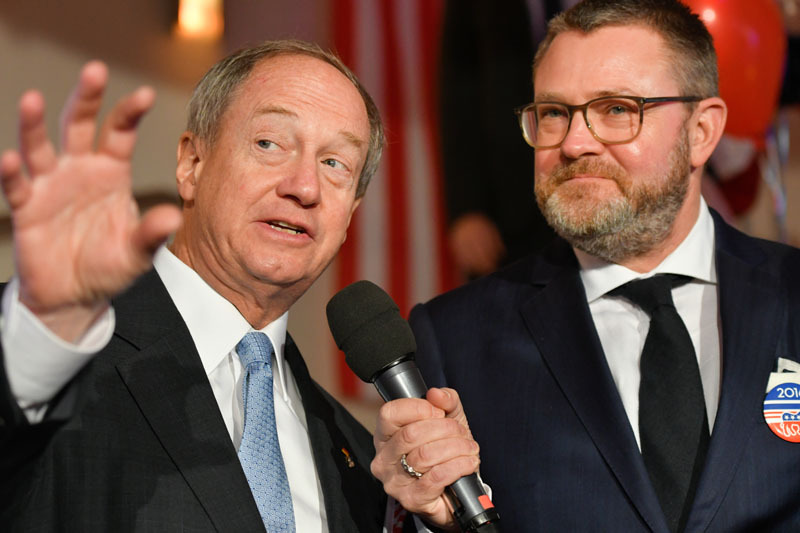 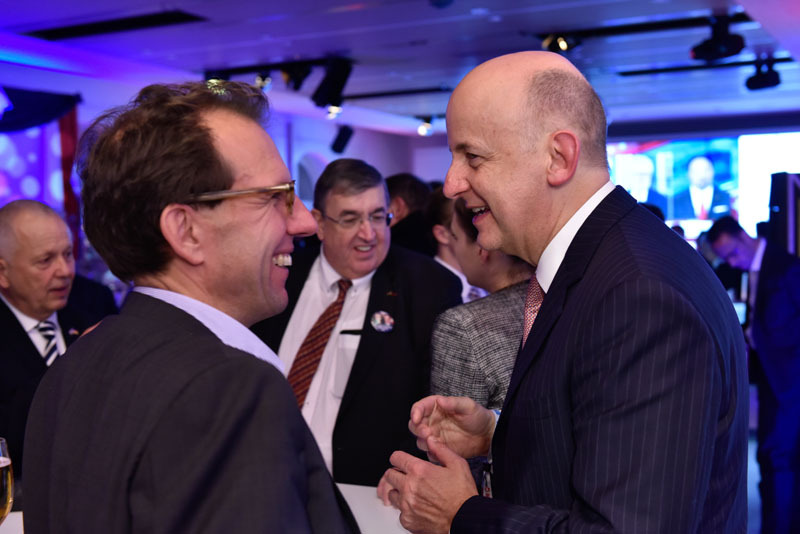 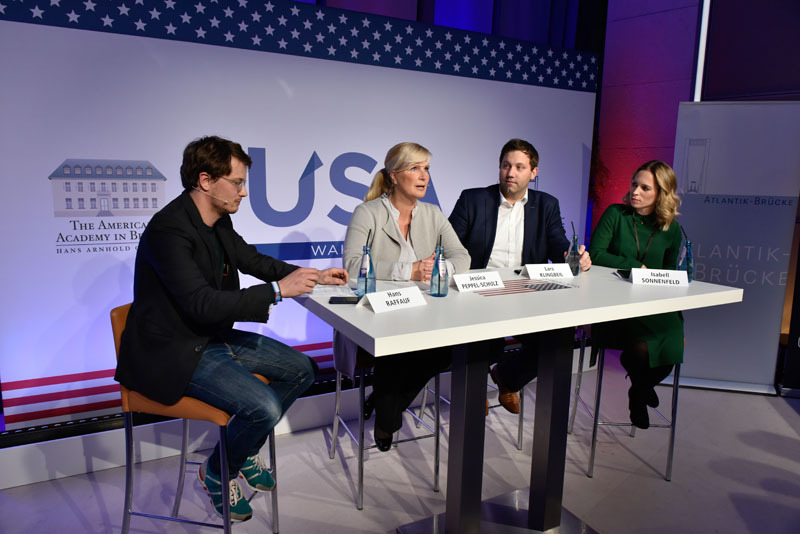 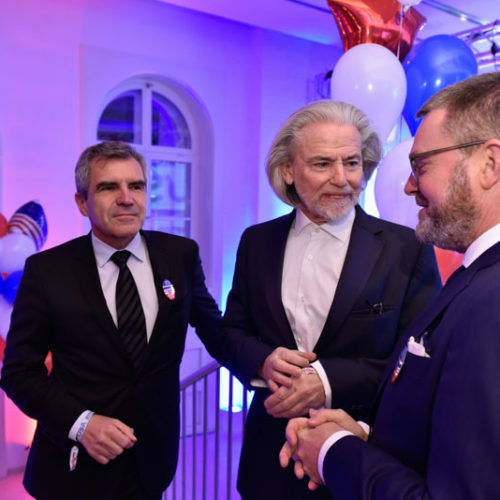 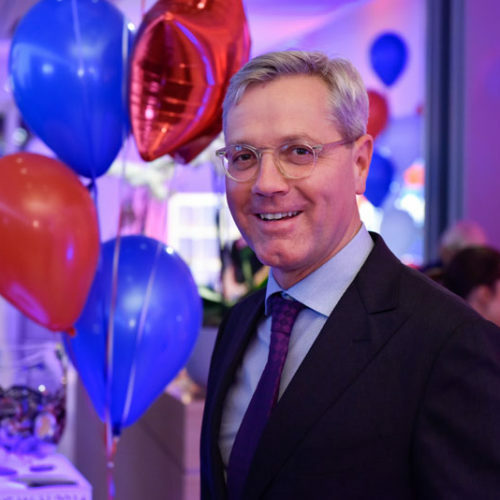 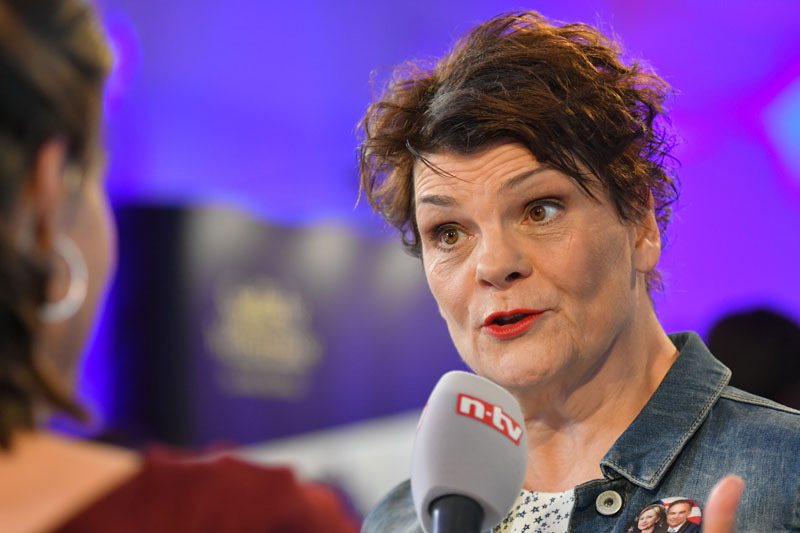 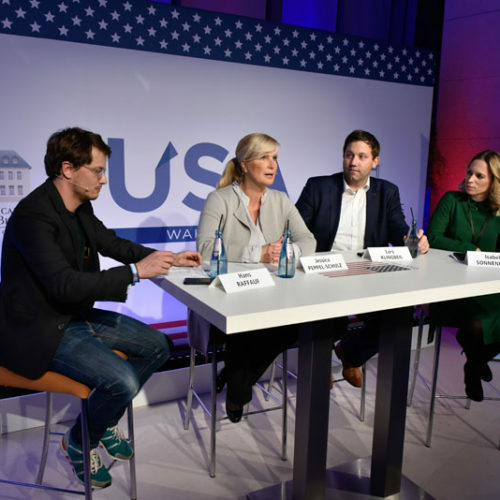 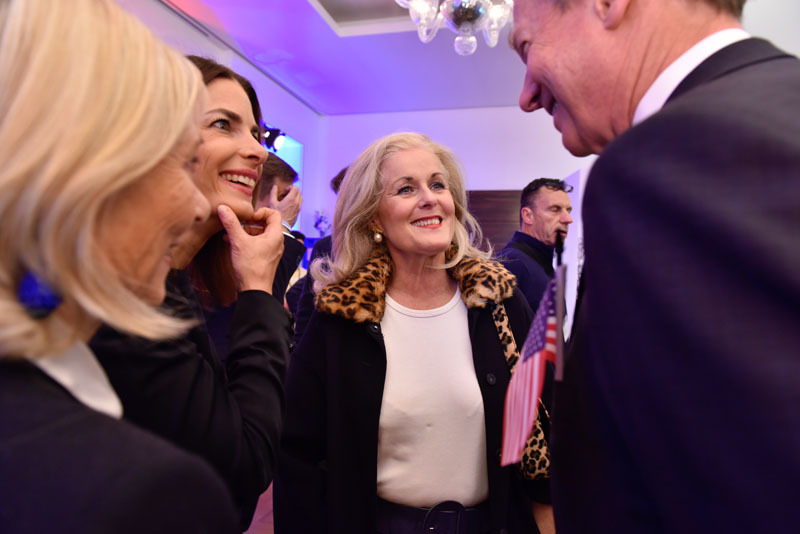 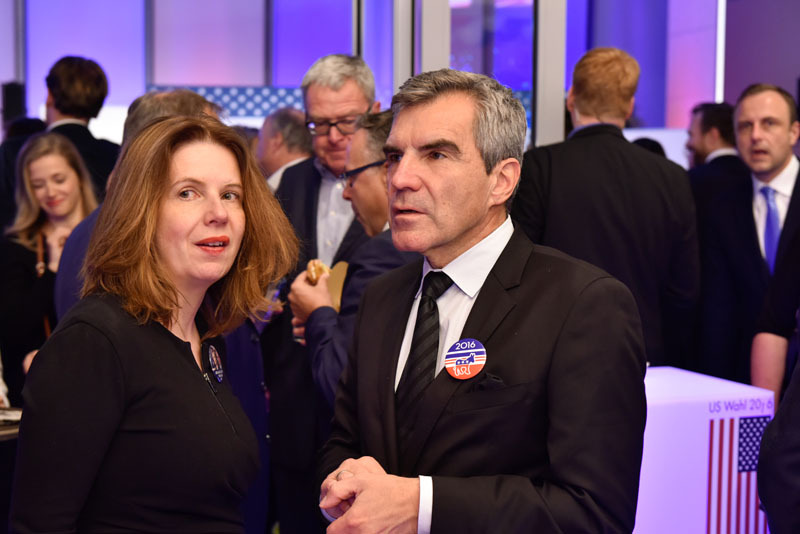 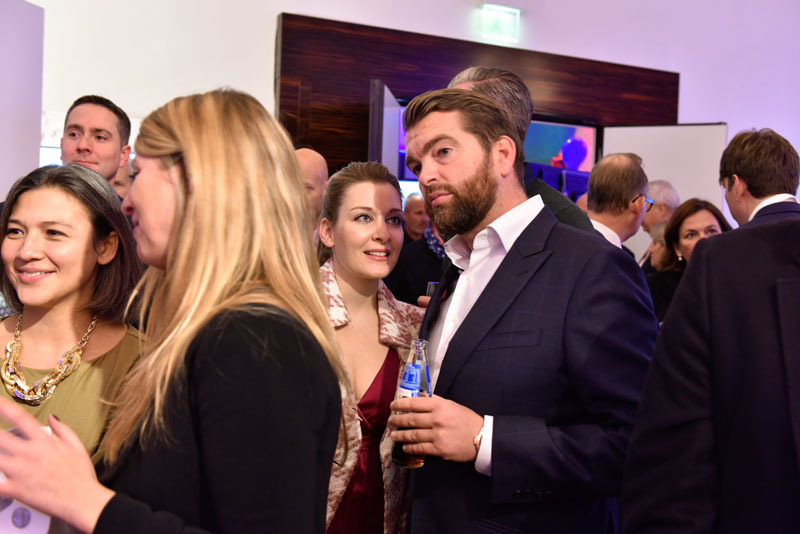 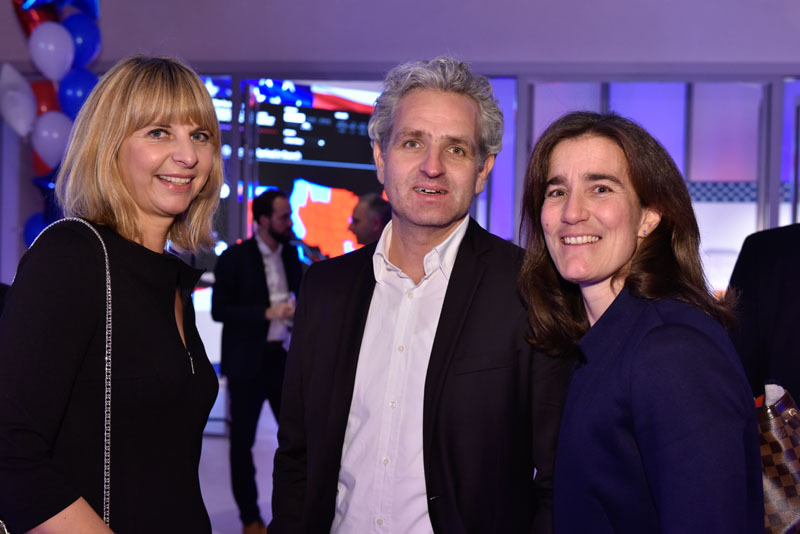 Along with Bertelsmann, CNN, ntv, Stern, the American Academy in Berlin, the US Embassy in Germany, Google, UDG United Digital Group and Porsche, Atlantik-Brücke presented the elections at the Bertelsmann representation Unter den Linden in Berlin. 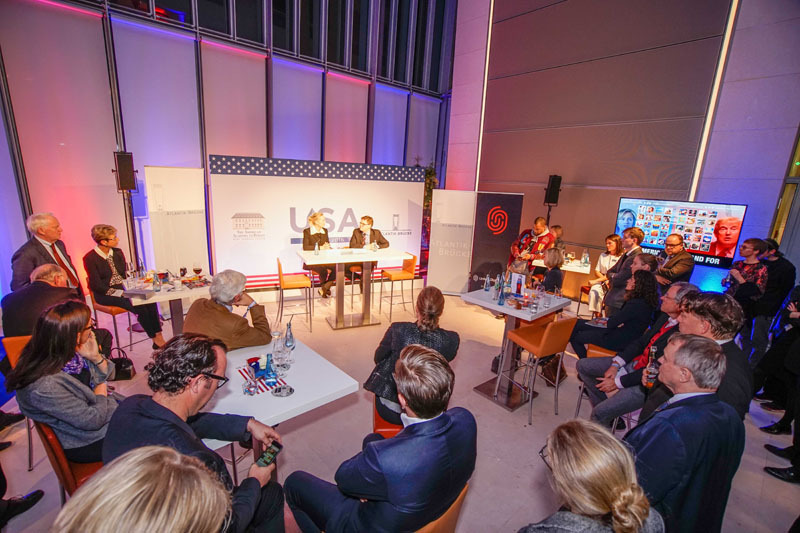 Ambassador John B. Emerson opened the evening with an interview. 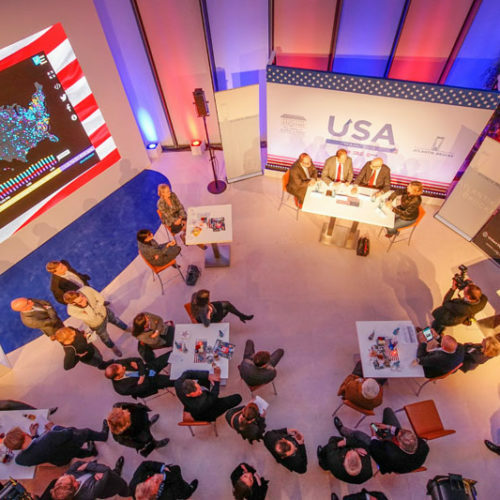 In discussions and live broadcasts to Washington, D.C., Minneapolis, Minnesota, Tallahassee, Florida and San Francisco, the American election campaign, as well as the domestic and foreign politics of the United States were analyzed. 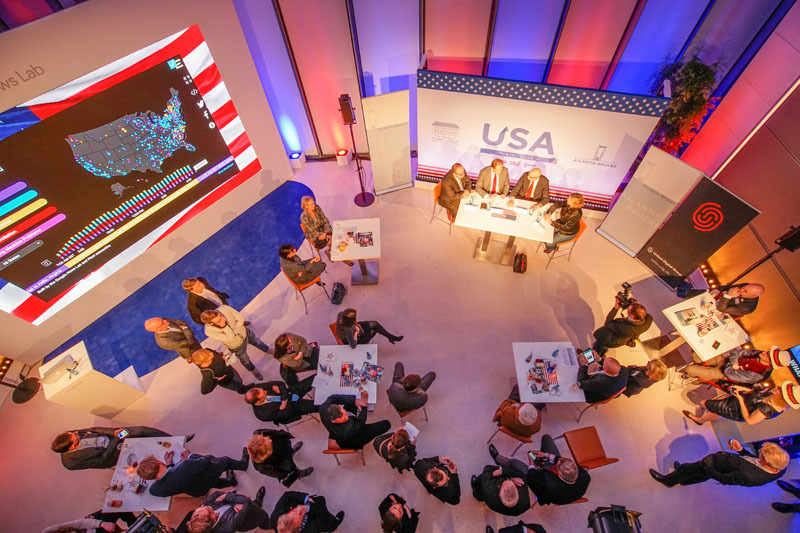 High-ranking panels provided the audience with assessments and backgrounds regarding the most decisive questions of the 2016 general election. 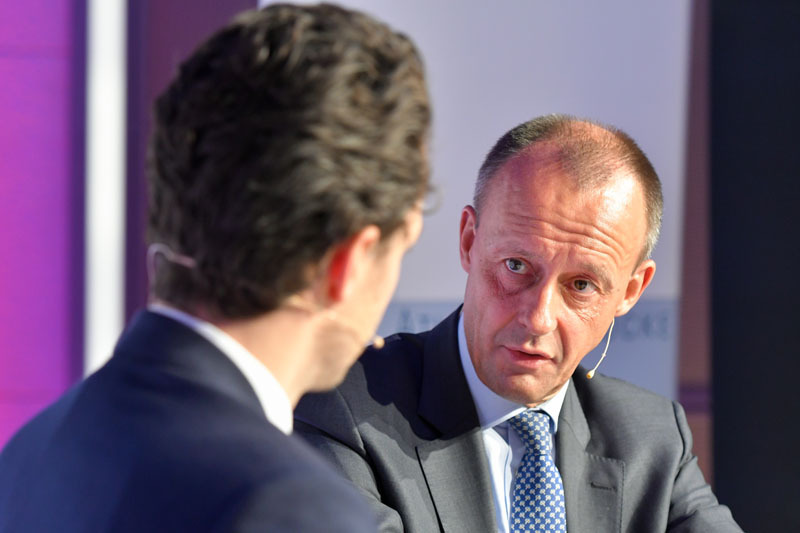 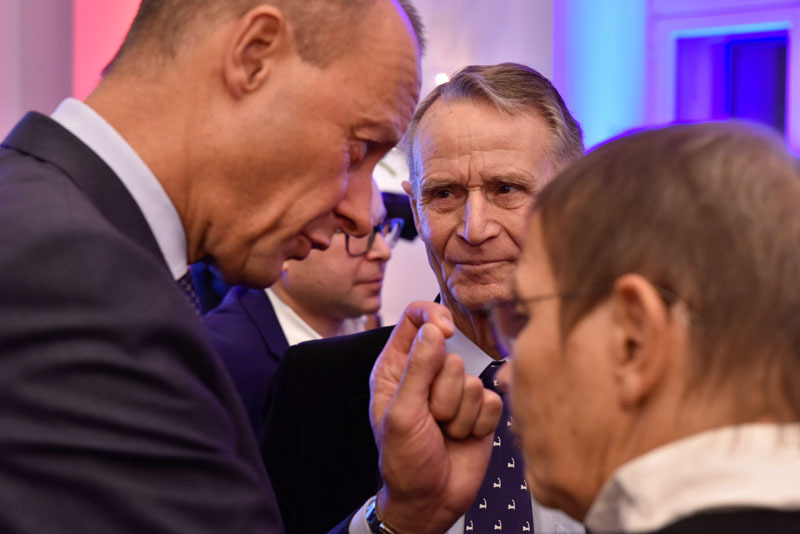 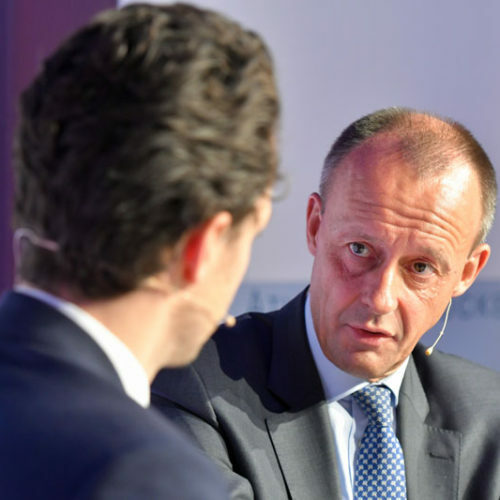 Friedrich Merz, Chairman of Atlantik-Brücke, offered an economic perspective on the election in an interview with Lukas Streiff, a Young Leader Alumnus of Atlantik-Brücke. 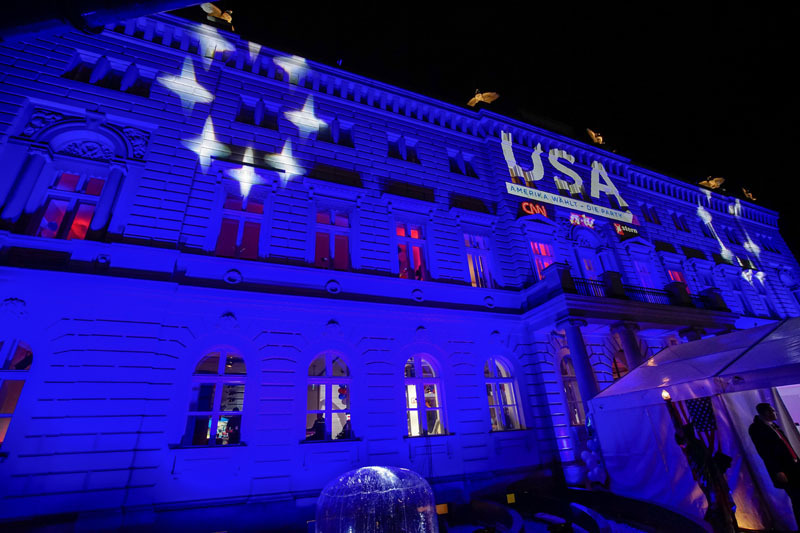 Roughly 1.000 guests came from politics, economy and the media.